Alex Siquig – Age 26. Looks like he should stick to writing. 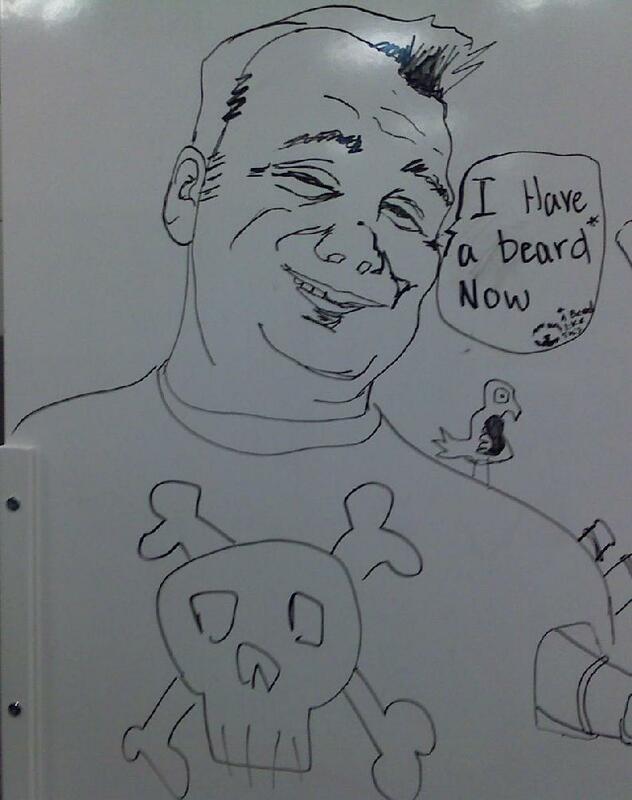 A coworker’s white board drawing of me which slowly evolved to not only show my pirate side, but also transform me into an actual ship. 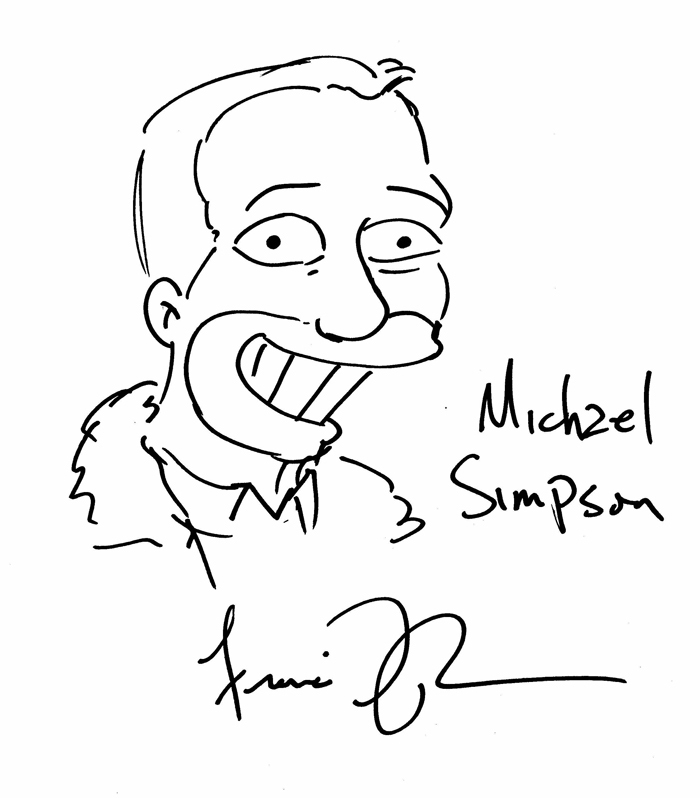 A Simpson drawing of me by one of the show’s animators! 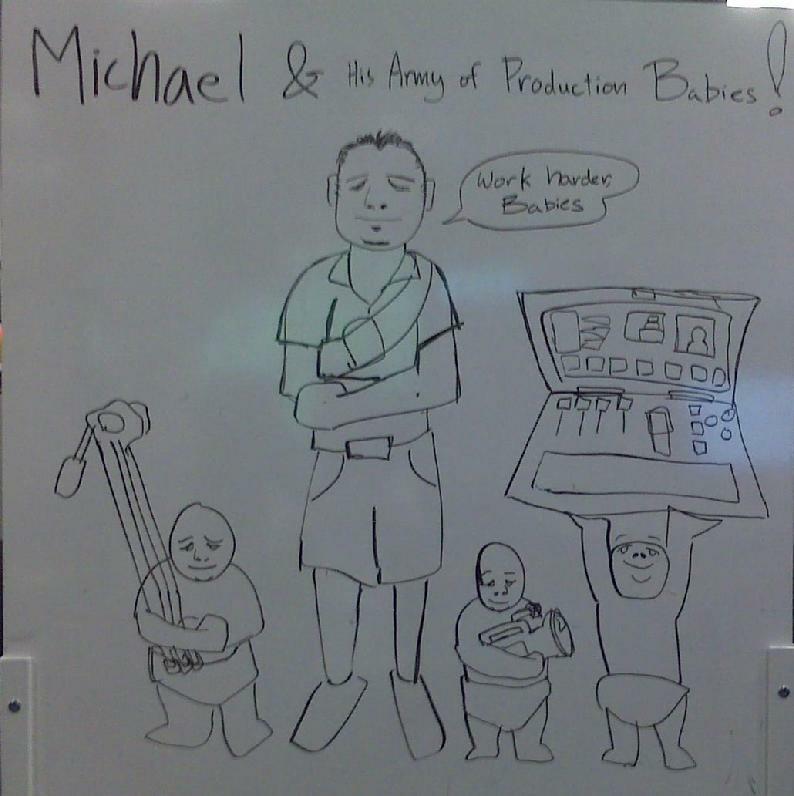 A very accurate depiction of me and my army of video production babies. I think it has a Mike Mignola like quality to it. 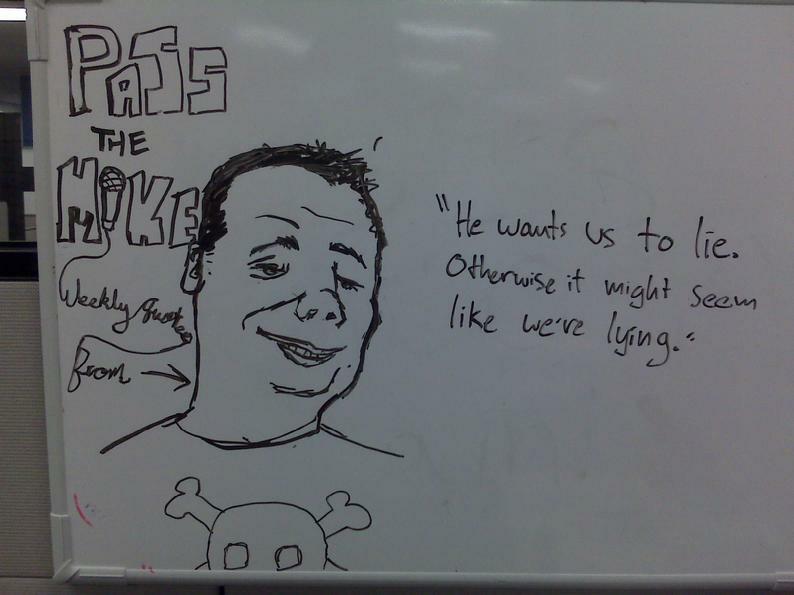 The wildly popular Michael quote board, where my disciples come to share my wisdom. 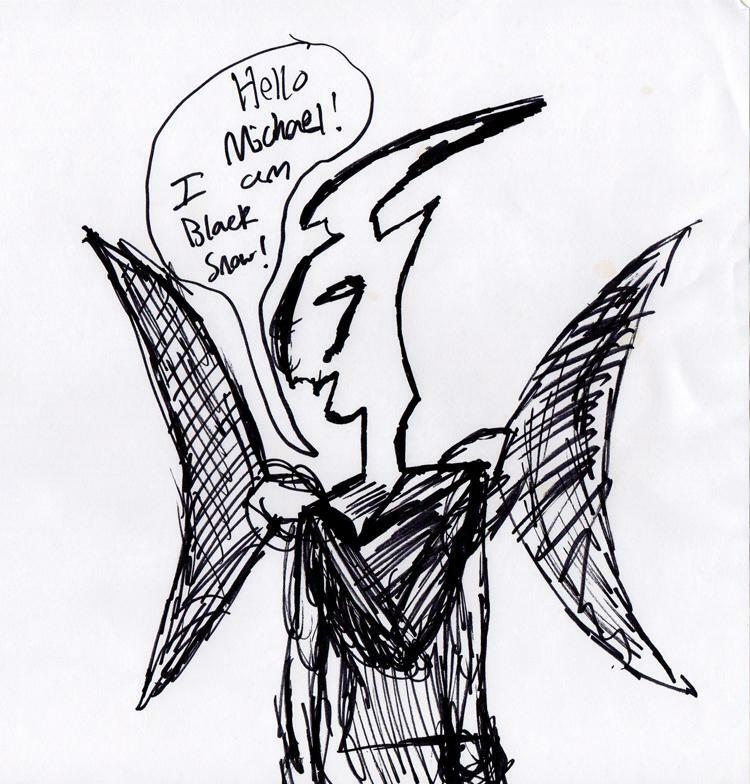 What a flattering portrayal.